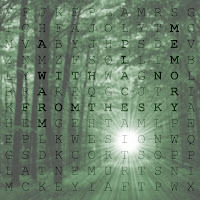 ‘A Warm Place With No Memory’ is From The Sky’s third release and displays a huge progression from their previous work, upping the complexity and ambition whilst retaining the melodic hooks, short compositions and detailed structure which sets them apart in the Post-Rock landscape. Multiple influences combine to produce a cohesive yet varied EP, from melodic passages to heavy riffs, rhythmic math to soaring post-rock noise. ‘A Warm Place….’ shifts from pin-drop quiet to crashing distortion encompassing everything in between and is definitely From The Sky’s best release so far.